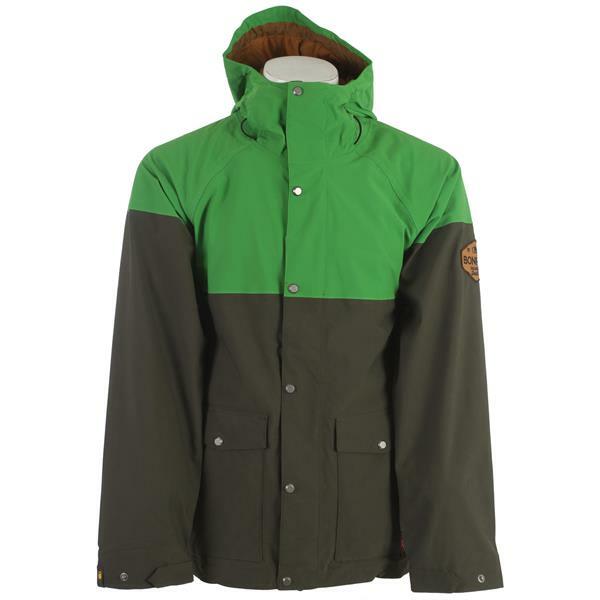 Get technical this season with the Bonfire Tanner Snowboard Jacket! When the conditions are constantly changing on the mountain, having a product like this Bonfire Tanner jacket will keep you warm and dry at all times. The Tanner jacket features a high 15,000mm waterproof rating and a unique tailored fit that will not restrict motion when attempting big tricks. 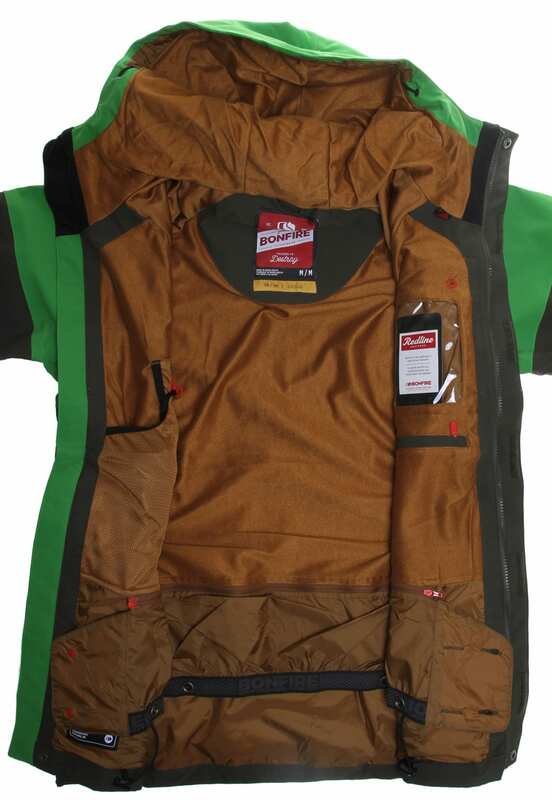 This Bonfire offering also comes with a snap-tite jacket-to-pants connection, 3 point adjustable hood and a storm access smart pocket that keeps your valuables safe. 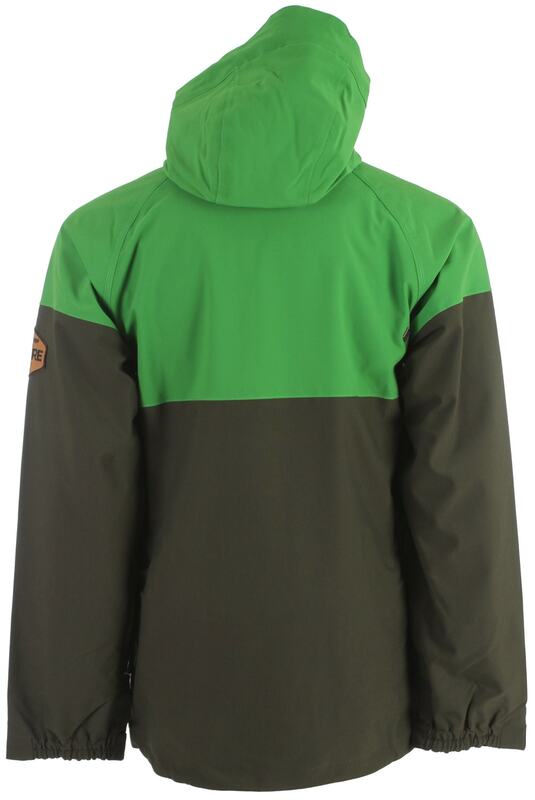 Step out onto the mountain and ride hard in the Bonfire Tanner Snowboard Jacket! Jacket came with everything it was advertised to have. You could spend more for fancier stuff but this jacket will keep you comfy in most any situation and has quite a few bells and whistles to boot! I was pleasantly surprised with all the features this jacket has and it's evident that a lot of thought went into designing it. The removable goggle bag, hand gaiters, and storm access pocket are just a few of the cool things! Way to go Bonfire! Being that it is still summer, I have not been able to test its warmth. It is lighter than I am used to but may still be warm enough. I am happy with the features (lots of pockets, snow skirt, vents) and especially the low price. To see if the snap-tight system would match up with my Bonfire Tanner pants. Seemed like the best jacket for the price. How far down on the back does the hood hit? BEST ANSWER: The hood on the Bonfire Tanner jacket goes down about 6 inches on the back. Not too far down and it is pretty snug (not real loose), so it won't flap around a lot while riding. This is a pretty slick jacket! The hood on the Bonfire Tanner Snowboard Jacket is like most jacket hoods- comes to mid shoulder blade, and stays pretty tight to your back. Thanks! How do I view different colors ? I don't understand color descriptions ? 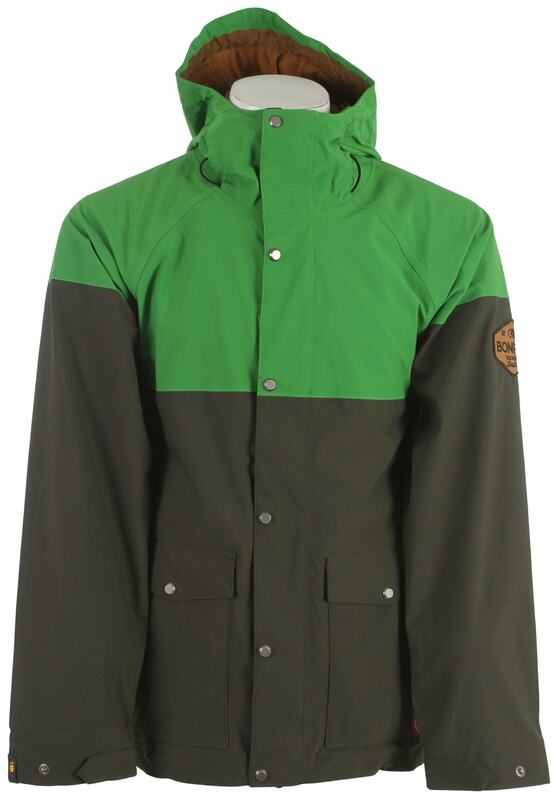 Can I ship a Bonfire jacket to australia? BEST ANSWER: Unfortunately due to vendor restrictions we are unable to ship Bonfire products internationally. For additional information please refer to our convenient list which entails the brands that we can and cannot ship products internationally (located here: http://www.the-house.com/helpdesk/shipping-information/international-shipping/). Sorry for the inconvenience and hope this helps!